Congratulations to Solar Mosaic and Navajo Nation artist Shonto Begay for taking a step into a clean energy future that does not involve the destruction of wildlands. Solar Mosaic successfully "crowd-funded" enough money to install solar panels on the home of Shonto Begay, who lives near the Peadbody Coal Mine in Arizona. Shonto's new solar panels will represent democratic energy -- clean and local -- generated at the point of use. No need for massive new power plants on desert habitat, or expensive transmission lines across beautiful wildlands. The Peabody Coal Mine -- like any other large corporate power plant that disrespects nature -- is a destructive relic of an old energy model. You can read more about Solar Mosaic's success here, and check out Shonto's art here. Illegal dumping is a problem on desert lands, especially those close to the urban areas throughout the southwest. Growing up in the western Mojave, I know the areas around the Victor Valley and Antelope Valley have dealt with illegal dumping for a while. Instead of taking trash to a landfill or other materials to proper recycling centers, a small minority of people would rather trash our open space, often taking a pick-up full of trash a half-mile or so down a dirt road to discard their waste in the desert, showing complete disrespect for the desert and their neighbors. You can report illegal dumping to county authorities (Los Angeles County, San Bernardino County, or Kern County.) You can also contact municipal code enforcement offices that might have jurisdiction over parcels of land within city limits, such as this site for Apple Valley Code Enforcement. 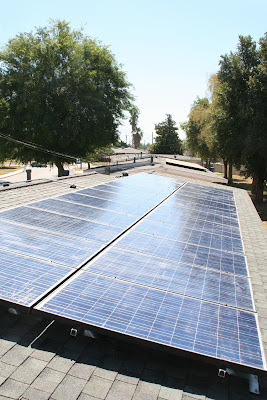 The Sierra Club initiated a Local Clean Energy Campaign to encourage public policies that promote investment in distributed generation and energy efficiency programs, which is seen as a positive sign by activists seeking a clean energy future that does not involve the destruction of ecologically intact wildlands for large-scale solar and wind projects. The nascent effort is currently focusing on coalition building, but intends to reduce barriers to distributed generation and support the Governor of California's goal to build 12,000 megawatts of local renewable energy. The Sierra Club's campaign adds to a growing chorus of groups and citizens seeking policies that have successfully ramped up local clean energy installations quickly in other countries, such as Germany. Mojave yucca and Creosote bush silhouetted against a backdrop of early dawn light and the Kingston Range in northern Mojave Desert. The Wilderness Society appears to support the destruction of public lands, as long as the diesel-guzzling bulldozers are clearing the way for a shiny new solar or wind energy facility. That is the bottom line of a blog piece written by the Center for American Progress writers Jessica Goad and Joe Romm--and posted by the Wilderness Society on its facebook and twitter accounts--in which Center for American Progress also suggests that Americans do not cherish their desert open spaces. The Wilderness Society's willingness to disseminate the blog piece without raising concerns for the content suggest they find merit in the article. 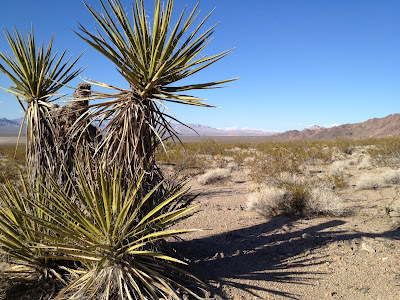 More conservation groups have expressed support for preserving desert wildlands in the Ivanpah Valley, an early warning signal that First Solar should back away from their ill-sited solar projects there. Located in the northeastern Mojave Desert and spanning the California/Nevada border, the Ivanpah Valley hosts a robust population of desert tortoises and provides a critical wildlife corridor for this species whose population has declined nearly 90% since the 1980s. 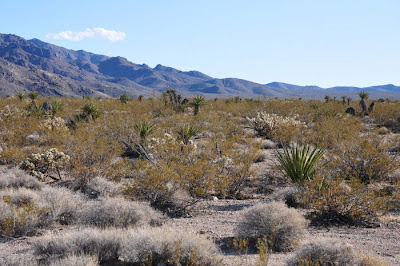 Biological surveys and US Fish and Wildlife Service findings increasingly indicate that First Solar is proposing to build in one of the most ecologically sensitive areas of the Mojave Desert, and threatens a level of damage that it cannot buy its way out of with "mitigation" as it did with its other projects.